You Gotta Fight, For Your Right… To STUUUUDY! Earlier this month, an elected Democrat legislative leader bragged to the Detroit News about their intention to declare war on charter public schools. Great news for taxpayers! The Michigan state Senate over the last few weeks has made significant progress on a common sense reform to respect your tax dollars and ensure they’re spent wisely. Senate Bill 897, sponsored by state Sen. Mike Shirkey, would require those in our state who can work to complete at least 29 hours of work, job training, or education per week in order to qualify for Medicaid. 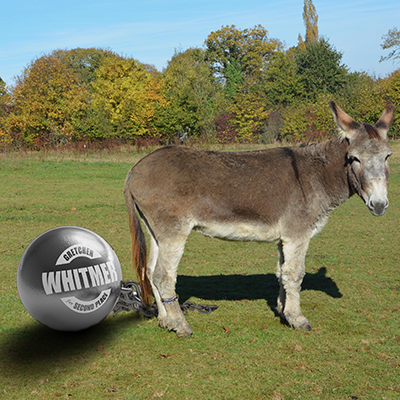 Whitmer leads from behind... in the polls! 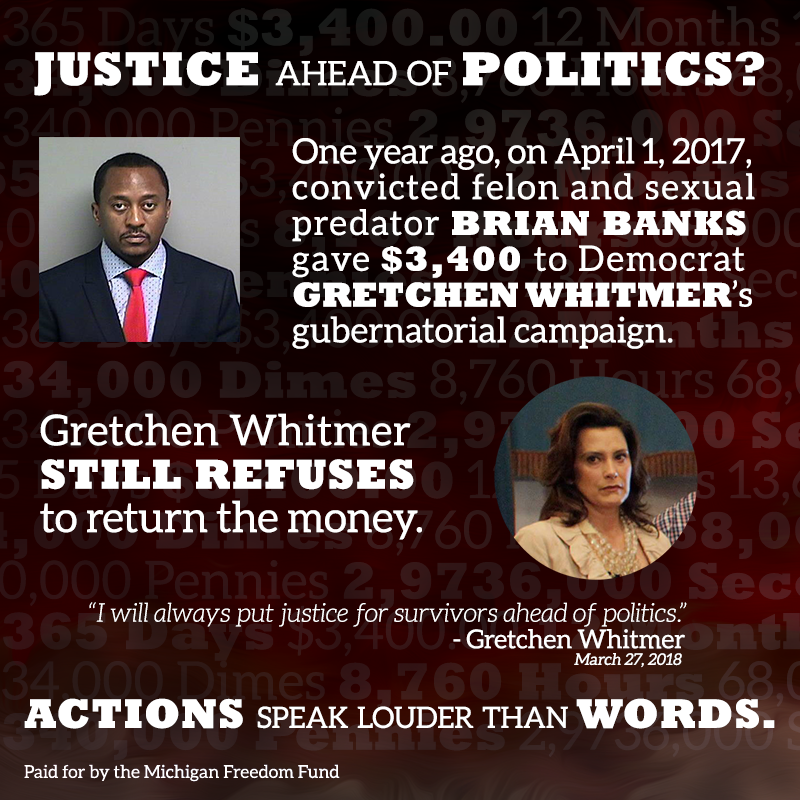 Another day, another poll showing ultra-liberal Gretchen Whitmer in serious trouble as she chases the Democrat nomination for governor. The question is quickly becoming, to what lengths will Brandon Dillon and the Michigan Democratic Party establishment go to keep Shri Thanedar – the Democrat leading in all the polls – away from the actual nomination? … And two Democrat members of the Michigan Board of State Canvassers picked union leaders and Democratic Party bosses over the rule of law, voting to disenfranchise nearly 400,000 Michigan voters who signed petitions demanding an end to the state’s costly prevailing wage mandate. Julie Matuzak and Jeannette Bradshaw, Democrats and union activists themselves, blatantly disregarded the staff report from the nonpartisan civil servants in the Bureau of Elections and abdicated their responsibility to Michigan voters and to Michigan state law. 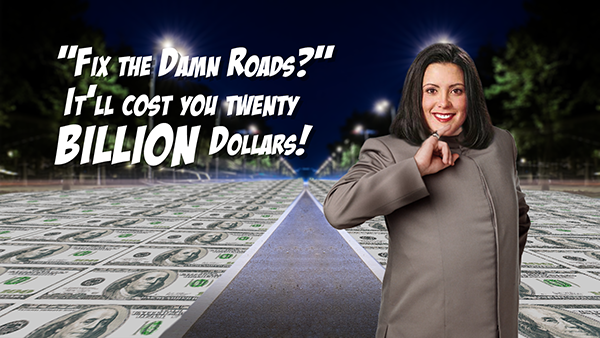 The road to Hell is paved with… your tax dollars? She must have forgotten that Michigan voters only a few short years ago went to the polls and overwhelmingly defeated an even smaller road tax hike proposal. Who's the Left-est of them all? Factions inside the Michigan Democrat Party have declared war with one another, seeing who can sprint to the hard Left the fastest, as party leaders gather this weekend for the Party’s “endorsement” convention. Public education in Michigan is better funded than ever before, and you can thank… Republicans, of course! Democrats and their union allies make headlines every week complaining about education funding, but when you crunch the numbers and examine the budget figures, it turns out it’s the other side of the aisle delivering in a big way for Michigan students.